Aubrey Levin, a Canadian psychiatrist and longtime proponent of so-called “ex-gay” therapy, will finally face charges in Calgary next week that he sexually assaulted male patients. 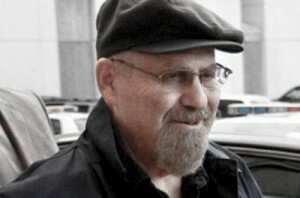 A jury ruled Tuesday that he was fit to stand trial, despite Levin’s claims that he suffers from the early stages of dementia. One of the doctor’s current patients told CTV Calgary that Levin was treating him for gambling addiction but began asking questions about his sexuality that made him feel uneasy. 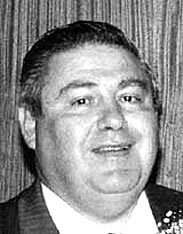 He said “I didn’t want [Levin] to write anything negative about me” (the Calgary Sun reports that his visits to Levin were court-ordered) and that nobody believed him when he sought help, so he took matters into his own hands, donning a hidden wristwatch camera and recording the doctor’s actions during two subsequent therapy sessions. It was the footage he obtained that led to Levin’s arrest. CTV Calgary also notes that Levin was often enlisted to conduct psychiatric assessments on patients facing criminal charges. The College of Physicians and Surgeons, which oversees mental health professionals, told the station that prior to these allegations, Levin’s record was completely clean since the time of his arrival in Canada several years ago. Levin was a colonel in the South African military and chief psychiatrist at 1 Military hospital in Pretoria in the 1970s and 80s, where he was in charge of a unit where electric shocks were administered to “cure” gay white conscripts. Levin also oversaw the use of electroshocks and powerful drugs against conscientious objectors refusing to fight for the apartheid army in Angola or suppress dissent in the black townships, who were held against their will and classified as “disturbed”. Levin, a member of the ruling National party during apartheid, had a long history of claiming to be able to cure gay people. In the 1960s, he wrote to a parliamentary committee considering the abolition of laws criminalising homosexuality saying they should be left in place because he could turn them into heterosexuals with electric shocks, known as aversion therapy. From 1969, he subjected an undetermined number of men to the treatment at the infamous ward 22 of the military hospital near Pretoria that catered for service personnel with psychological problems. 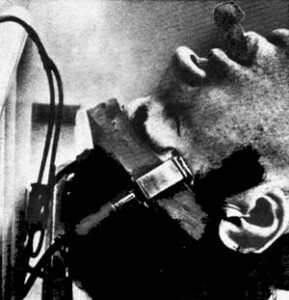 Levin encouraged commanding officers and chaplains to refer “deviants” for electroconvulsive aversion therapy, which consisted of homosexual soldiers being shown pictures of naked men and encouraged to fantasise as they were subject to increasingly powerful electric shocks until they begged for the pain to stop. Some of the abuses were documented by the Aversion Project in South Africa (pdf). Its report quotes Trudie Grobler, an intern psychologist in the psychiatric unit at 1 Military hospital, who was forced to give electric shocks under Levin’s supervision. “I know that [the psychiatrist] did aversion therapy with the homosexual men. I don’t know of a single case where it was successful … You know he would show the boys men, and then shock them, and then show them girls,” she said. According to the Aversion Project report, Grobler also saw a lesbian subjected to such severe electric shocks that her shoes flew off. “I can only think that it was the same method and intensity that the woman had been given. And it was terrible. … I couldn’t believe that her body could survive it all,” she said. The rest of the Guardian article is equally horrific. Levin also subjected conscripts with post-traumatic stress disorder and learning disabilities to treatments involving powerful drugs and electric shocks. He targeted marijuana-smoking soldiers and conscientious objectors who refused to serve in the apartheid-era military, allegedly injecting some of them with barbiturates before they were interrogated. A gay patient testified to the TRC that Levin had him chemically castrated, and the doctor’s electroshock treatments were blamed for driving at least one patient to commit suicide. Aubrey Levin isn’t just a hypocrite, a charlatan, and a criminal. He’s a monster, with a decades-long record of human rights abuses and medical malpractice on gay and lesbian patients. Canada should never have allowed “Dr. Shock” to practice medicine in their country, but they now have an opportunity to bring him to justice. Let’s hope that they swiftly do just that, for the sake of Levin’s countless victims.